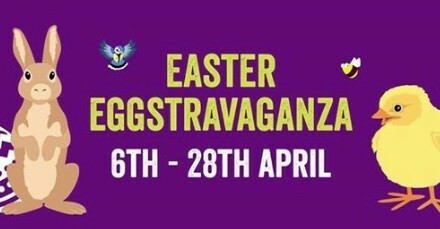 We’ll be skipping and jumping into the spirit of spring with an egg hunt around the Park with a prize for every child. There will also be craft activities and a puppet show to entertain the little ones, as well as all of the usual Farm Park fun – stroking bunnies and holding chicks, bottle feeding the lambs twice daily and the opportunity to feed those greedy goats! We’ll still be lambing in the Animal Barn too, which is not to be missed, with new arrivals due every day of the holidays. All activities are included in the cost of admission. Established in 1971 and the home of rare breed conservation, Cotswold Farm Park offers a fun-filled day out for the whole family.